Women try to convince me that just because they work outside of the home, it doesn’t mean they aren’t keepers at home. I am not sure how you can be at home if you aren’t home! 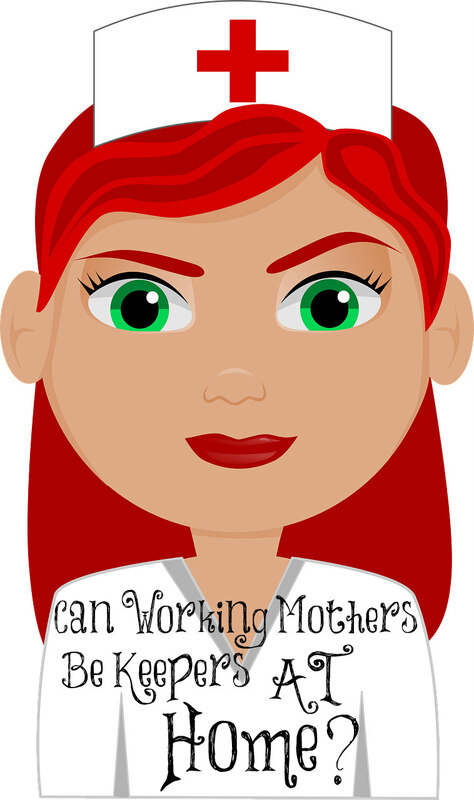 It’s a recent phenomenon to have so many women who are not homemakers anymore and many more who are out in the workforce. When God instructs women to be keepers at home and guide the home, it was to prevent them from running from house to house and being gossips and wasting their time away from home as Ellicott’s Commentary puts it: “Home duties, cares, pleasures, sacrifices of self—these God-appointed duties ought to fill the mind and the heart of the young wife. There should be no desire, no attempt, to go round to the other houses, and so contracting idle, gossiping habits.” So does this mean that keepers at home can have jobs outside of the home if they aren’t idle and gossiping? In searching all of the commentaries of old not one of them mentions a woman having a career outside of the home. Yes, some mention doing something concerning their religion but not allowing it to interfere with their home duties which include disciplining and training children, being a help meet to their husbands, and doing all that pertains to homemaking and caring for the family. Jamieson-Faussett Commentary: “keepers at home—as ‘guardians of the house,’ as the Greek expresses. The oldest manuscripts read, ‘Workers at home’: active in household duties.” How can a woman guard the home from all of the evil influences if she isn’t there all of the time? Someone needs to be taking good care of the children and that someone needs to be the mother; for no one replaces a mother in a child’s life. Matthew Poole’s Commentary: “house-wives, not spending their time in gadding abroad, but in looking to the affairs of their own families.” I venture to add that not “gadding abroad” would include not having jobs or careers outside of the home since these take the women away from where that are supposed to be. I was a full-time teacher for the first two years of my oldest daughter’s life and I can tell you that I wasn’t a help meet to my husband, a good mother to my children, nor a good teacher. I was spread way too thin and exhausted all of the time. There I was teaching other children and away from all the responsibilities the Lord had given me. It was a terrible time in my life. Even when I substituted a couple of days a week years later, I neglected my children at home and home duties to do something that I was not called to do. “Mothers who work at home usually find it a more absorbing pleasure than ‘going about from house to house” (1 Timothy 5:13).” (Expositor’s Greek Commentary). Yes, when mothers understand that their place is in the home and not running here and there but finding contentment at home, they learn to enjoy it and children thrive in a secure and predictable environment in a home with their mother. “But οἰκουρός, which is probably the true reading (Huther), is common in good classical Greek for ‘stayers at home. '” (Pulpit Commentary). It can’t be any clearer than this; we are called to be stayers at home! It’s God’s perfect will for you, women. No, you don’t have to be involved in a lot of church activities or other things that take you away from what the Lord wants you to be. Home is where it’s AT for you! Thanks, Lori. I’m grateful to be a keeper-at-home. As an “older ” woman, I am to teach this by being exactly what the scriptures says. An alarming trend in churches is to see the older women returning to college after the children are out of the house . I believe this is sending a mixed message and more confusion to young women. Ministering to our husbands, family, and others from within our homes is a privilege, honor, and blessing throughout each season of life. I agree, Holly, for the wisdom of this world is foolishness to God and He has never commanded women no matter what age to go out into the world, be educated by the world, and be providers. He has instructed us to do the complete opposite. I believe women leaving their God-ordained work has caused havoc in our culture. We, as godly women, must obey what He has clearly instructed us to do and be salt and light for all those around us! Don’t forget too, even if you don’t have a job, you can get too busy with other things to take you away from your family! In fact, church is the next place that says you have time because you don’t work. I do wish when I had toddlers a long time ago I would have realized now but lesson learned. However, you can be made to look bad because you know it is for a good reason, that you serve. Thankfully we are no longer in a busy church, with all those committees. It is just simple church with fellowships and not a lot of fuss. You’re so right, Jo! God wants us to be keepers AT home and this was a lot easier before the invention of cars but our primary place should be in our homes and looking well to the ways of our household which includes our husband and children. The women I know who’ve gone back to college go for practical careers, like nursing or physical therapist, or social worker etc. They don’t go to into debt because of a sociology degree. To me, that’s an important distinction that needs to be made. They want to continue to nurture to our broken world. There’s also nothing wrong with going back to school to get skills that will help pay the bills. 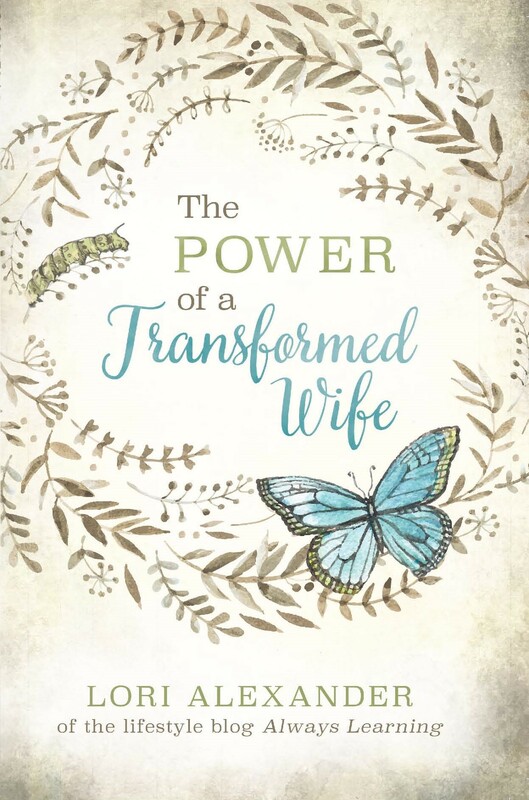 Not every Christian woman is in a great Christian marriage that’s going to last forever. Young women find themselves widows. Older women find themselves divorced. Accidents and tragedies happen all the time. A friend of mine is trying to sort out her life right now because she got up the courage to leave a domestic violence situation and she really didn’t expect to be taking care of three young girls alone. As a “good Christian woman”, she didn’t expect her life to take the turns that it has recently. After the kids are gone, there’s a lot more time for other things. Why not learn a new skill and help hubby save up for retirement or pay down debt? Let’s remember that most people don’t save and really aren’t prepared if a financial or major medical emergency comes up – like cancer or long term hospital stay. I tend to be inspired when older women go back to college and keep active. It wasn’t until I was out of college that I met older women (50 +) who weren’t afraid of living and trying new things, in spite of a few aches and pains. The women in my family always complained and acted like they were on death’s door step. It really made we wonder about growing older as a kid because I didn’t want to be like that as an older adult woman, but I didn’t see women in my life not acting like that. It was just sad and depressing. Things do happen, especially if the husband lost his job or became disabled and unemployment and disability benefits only pay so much each month. Even churches today could barely support their pastors, let alone those that need help. We live in the richest country that has ever existed, Tabi, and we belong to a very rich and generous God. We must trust His provision and love for us as we do what He has called us to do, namely be keepers at home. Jo, where is your trust in the Living God and His provision for us? There were so many “what if…?” statements and no “But God…!” I prefer to do the best that I can to obey what He has called me to do and leave the rest with Him, for if He takes care of the birds and flowers, He surely can take care of us. I work part-time, and have just taken on a new job. For the training, I’ve been required to come in every day for 6 hours, over different shifts, to learn the ropes. I have two weeks of training, then I will be doing my regular shifts – just 2 a week. Hopefully this won’t interfere with my ability to be a keeper at home. But this week has been horrible! My husband has had to step up to the plate and help out a LOT – and he works, too. But he’s self-employed, so does have a certain amount of flexibility. And the kids are all at school during the day, which helps. But the floor hasn’t been vacuumed in nearly a week and the laundry is piling up. Cooking and the dishes I’m keeping on top of, but it’s tough. Really tough. And my husband has been collecting the kids from school instead of me, and I haven’t been seeing them until late afternoon. I agree with this blog post wholeheartedly – I’m living it right now so I know it to be true!! And no, giving up work is not an option for me. My husband has a back injury and simply cannot fully support us without my help, and he wishes for me to work part-time. But it will get better – it’s just these first couple of weeks that are tough. I am sorry, KAK, but if I were you, I would storm the gates of heaven daily and seek wisdom from the Lord to make a way to come home full time and change my husband’s mind for with Him nothing is impossible! I am instructed to teach younger women to be keepers at home so they won’t blaspheme the Word of God. Therefore, I will keep encouraging and teaching women to seek the Lord in prayer and ask for Him to find a way for them to be home full time where they belong. I want to trust God, His commands to us, and His promises more than I want to worry about obeying them. you are right about God providing in different ways. I’m working a funny-hours job that allows me to be there for my family a lot, and yes, the income is necessary and my willingness to get up at 4 am is also necessary. No two marriages are the same and no two situations are the same. Like you, I’ve been the one fretting and worrying, praying and hoping. I still do. Circumstances are far from ideal and our family is only on the mend after a few pretty hard blows. You remind me of Ruth in the Bible. Realistic, resourceful and faithful. Do you have a blog? Would you mind if I emailed you? I dont necessarily mind pursuing an education while kids are out of the house. It depends what it is and what you do with it. Once my houssework is done it would be nice to fill my time with something. And if hat hiher education results in a career you can operate within he home. Even better. Especially if he hours are within the hours that your children arent home or your attention is needed elsewhere. There are so many things older women are called to do than to pursue an education. This is what the Lord calls us to do besides teaching younger women: Well reported of for good works; if she have brought up children, if she have lodged strangers, if she have washed the saints’ feet, if she have relieved the afflicted, if she have diligently followed every good work. (1 Timothy 5:10). I’m a wife, and a Registered Nurse. Because of a congenital heart defects and multiple heart surgeries, I’ve been advised to not attempt pregnancy. All of my doctors have adamantly stated that, “Pregnancy will kill you.” I didn’t get married until I was 30 years old, and now work part time. My husband wants me to work, and I do so with his blessing. If I had children, I might feel differently, however, that’s not what God planned for us as a couple. My husband knew everything about my health when we first started dating, and has been with me during every single hospitalization and surgery since we met. He wholeheartedly agreed that my health limitations caused no problem for us as a couple, and that even though I wasn’t able to have children, he still desired to spend his life with me. We work with teens at our church, and help children as God directs. God does not call every single lady to marry and bear children. I waited, praying faithfully for a strong Christian husband since I was a little girl, and I did not date or even get involved with another man until I met my husband. I did live in apartment, close to my place of employment, however, I have always maintained a very close relationship with both my parents, and my it was my father’s desire that I go to college. I agree with you, Lori, that God’s ways are always best, although that may look different for each person. I love children VERY MUCH, and even though I’m not a mom, as stated above, children are a big part of my life! I’m glad God uses me to minister His love to hurting people at my hospital, and thank Him for sparing my life on sooooo many occasions. Have you and your husband thought about adoption? It is another way to become a mother. It sounds like you have been blessed with an amazing husband, Debbie. What a blessing! No, not every woman gets married or has children. I understand this but by far the majority will so if something I teach doesn’t apply to certain woman, I would hope they understand this. You never know what God has planned for you. You still may be blessed with children somehow but it sounds like you are using some of your life to help children. All women are created to nurture in some way. Thank you, Lori. Your comments made my day! We’re right in the middle of Hurricane Harvey here in South Texas, and the weather is getting worse. We sure need prayer cover. Thank you Lori for continuing to speak the truth. While a job may pay for bills, a job also restricts women from caring for their children and aging parents. My mother, who was one of those rare stay at home mothers among her relatives and peers, who never sought out a career after her children were grown, was the only one available to care for sick relatives and their children, my aging grandparents (on both sides of the family) and even help care for sick members of our church. She also visited depressed women and encouraged them. I remember my mother doing a lot after we were grown although she never earned a salary. There is that passage in Timothy that talks about widows who meet the qualifications to receive aid from the church. I like to think of that as a “resume” I hope to have when I am an aged woman! You had a mother who was obedient to the Lord’s calling on her life, EC. What a blessing and how this culture has suffered since more older women who call themselves Christians aren’t doing the same. I worked and was a keeper at home! (My husband always wanted me to work). Had nutritious homemade dinners six nights a week (we ate out one night), was very active in my daughter’s school, and my home was usually immaculate. And it was a happy home. Yes, I was tired on weekends but being tired sometimes means life is full! With a little organization, it is possible to work and be a keeper at home. I am sorry your husband wanted you to work, Kelly, but it sounds like you made the best of it. With one child, it would be a lot easier than if you had more but I am sure she missed being with you full time since all children need and want their mothers home full time. NOTHING is better than God’s perfect will for our lives. I had two other children, Lori, but they died. I wanted others, but that was God’s perfect will for my life.